Is There a Connection Between Acid Reflux and Stress? Acid reflux and stress do have some connection as claimed by several studies. The connection though, may not be as direct as we initially thought. Several studies have presented various interpretations as to how one relates to the other. To better understand the association, read the report below. It’s a sure thing that you have experienced the so-called butterflies in the stomach at one time or another. When we get nervous or when we are under pressure, our gut takes the hit. For some, it is as simple as having a fluttery feeling in the stomach, while for others, it can go as bad as feeling pain in the chest or suffering from diarrhea. Several surveys have revealed that majority of people who suffer from acid reflux or gastroesophageal reflux disease (GERD) blame stress for their disorder, explaining that they only suffer the symptoms when they are under duress. However, studies have so far failed to find an actual connection between stress and acid in the stomach, including a 2005 report that appeared in the Journal of Psychosomatic Research. Researchers have claimed that stress can be a factor, but it is not necessarily the underlying cause of acid reflux. Meanwhile, some experts have stated that, just because proof has yet to be found that stress directly causes GERD does not mean that it does not have a role in the symptoms of digestive disorders that we experience. A host of studies have shown that when people are under duress or are feeling stressed, they experience a drop in prostaglandin. This is a substance that is much like hormones and is found coating the lining of the stomach and which protects the stomach from acid. Other studies throughout the years have found out that stress causes increased activity in the brain, which in turn results in higher activity among the pain receptors in the esophagus. This means that some people experiencing stress may feel more pain in their esophagus, but it does not always translate to a higher level of acid that comes up from the stomach to the esophagus, thereby not producing acid reflux as an end result. There may be more pain, but there may not be any effect on the level of acid that can cause GERD. Despite the lack of evidence pointing to a direct connection between acid reflux and stress, it cannot be denied that they do have a connection and managing stress can still lead to better management of digestive system disorders. One way by which people can deal with stress is to have an outlet or an activity that they find relaxing. Pottery, playing musical instruments or simply taking a walk may help relieve stress. Keeping a healthy body also helps keep emotions at a healthy level. Eating the right food and engaging in physical activities should also be part of every person’s routine if he or she wants to minimize stress. In addition, taking supplements that promote the health of the digestive system will also aid in preventing and controlling digestive diseases. 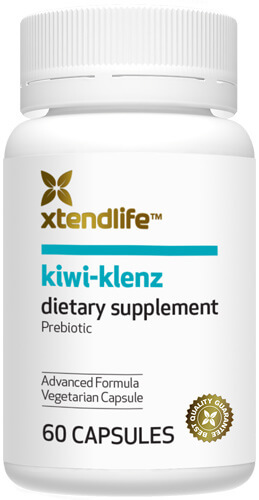 Supplements made from natural ingredients, like Kiwi-Klenz from Xtend-Life, can help keep our gut stronger and healthier. If you want to become more knowledgeable about your options as far as digestive supplements are concerned, then you should read my research findings on the top five natural digestive supplements. Acid reflux and stress have a strong connection and although the former is not directly caused by the latter, it is still a fact that stress can exacerbate an already existing stomach problem.